Built in 1934 and over looking a 50 foot in-ground pool, this extraordinary 12 room English Country Manor home is sited on almost an acre of park-like grounds. Move-in condition this home has been renovated for 21st Century living while maintaining the integrity of the period. 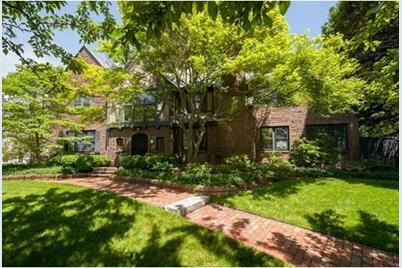 This property is a rare gem within minutes to Boston, walking distance to the newly renovated shops and restaurants at Chestnut Hill Street and Square, the Chestnut Hill Reservoir, Longwood Cricket Club, The Country Club, and public transportation. Randolph Road is considered to be in one of the most desirable neighborhoods in Brookline. 78 Randolph Rd, Brookline, MA 02467 (MLS# 71972577) is a Single Family property that was sold at $3,500,000 on September 13, 2016. Want to learn more about 78 Randolph Rd? Do you have questions about finding other Single Family real estate for sale in Chestnut Hill? You can browse all Chestnut Hill real estate or contact a Coldwell Banker agent to request more information.